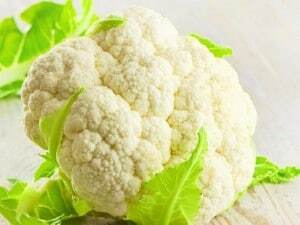 Last year was the kale trend, and 2014’s hot veggie is cauliflower. You’ll see colorful cauliflowers and find this nutrient-dense vegetable in dishes you wouldn’t think of looking, such as mashed potatoes and “potato” salad. Due to increasing nut allergies, seeds will be making a big statement in 2014. Sesame seeds should especially be in your pantry due to their high levels of calcium and zinc (almost 20 percent of your daily dose of each). Also studies have found that sesame seed consumption helped with improving lipid and glucose profiles in pre-diabetic patients. This tried-and-true perennial healthy food will again be on stage for 2014, due to recent studies which have shown that apple consumption helps to lower the “bad” LDL cholesterol, and also reduces the risk of ulcerative colitis. Other studies show optimistic results that apple consumption may help to ward off breast cancer, and a 2013 study found that eating apples could expand your lifespan by 10 percent. The popularity of plant-based eating has encouraged manufactures to make products with plant-based proteins. Pea protein is a hot protein alternative to egg and dairy protein because of its link to greater satiety compared to whey and other proteins. Mayesa proudly uses pea protein in its products. Gluten-free foods continue to drive the new healthy food trends. Expect to see more pasta made from non-wheat alternatives, like quinoa, rice and buckwheat. Sprouted seeds, pulses and beans are collectively known as ‘sprouts’ and they’re going to be big in 2014. Sprouts are effectively living foods and one of the richest forms of nutrients known. You can sprout your own mung beans, split peas and lentils alongside hazelnuts, pumpkin and sunflower seeds at home within a couple of days. Add these to salads and soups for a rich source of complete vegetarian protein, as well as a fresh taste that pops. A growing trend is healthy eating by focusing on organic and local produce. This has been trending for some time, but watch for this to continue and to become more of a lifestyle, a social movement, in 2014. Besides the burgeoning Farmer’s Markets, Community Supported Agriculture, commonly known as CSA, is an agricultural model that re-connects people to their local food source. A network or association of individuals pledge to support one or more local farms, with growers and consumers sharing the risks and benefits of food production. CSA members or subscribers pay at the onset of the growing season for a share of the anticipated harvest; once harvesting begins, they receive weekly shares of vegetables and fruit. 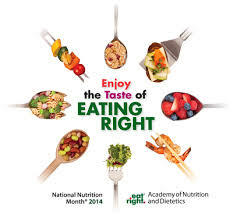 March is National Nutrition Month, a way of making people aware of how good nutrition is a part of a healthy lifestyle. 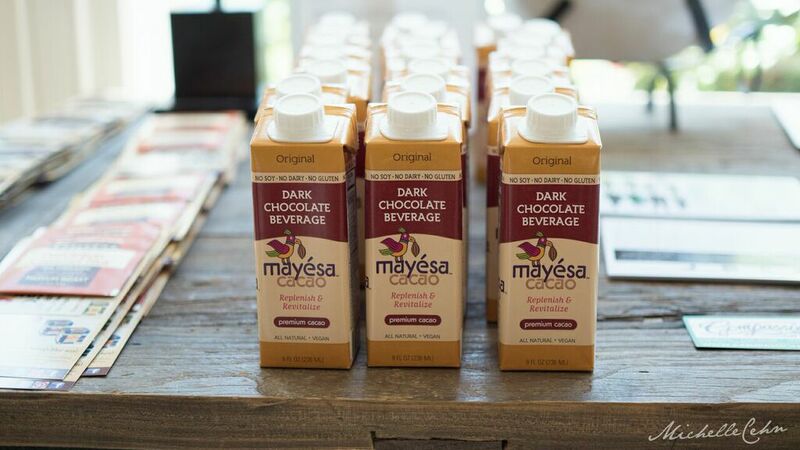 It’s easy to enjoy foods in a healthy way, especially with Mayesa – a delicious healthy-chocolate drink that is chocked full of good nutrition. Being aware of good nutrition is important because it is about how we nourish our bodies. Our bodies require healthy food to create and repair cells. The science of nutrition also focuses on how diseases, conditions, and problems can be prevented or lessened with a healthy diet. If you create a weekly menu plan and coordinate it with your shopping list you will eat healthier, waste less food and time, and there’s less stress at dinner time. You will find that a plan minimizes the last-minute dinner scramble, and helps you stick to healthier foods. It’s often easier to buy fruits and vegetables than it is to actually use up them before they become shriveled and brown. Here are some suggestions on how to make sure you eat those fruits and vegetables: (a) toss a variety of vegetables in olive oil, roast and then refrigerate, allowing you to have ready-made side dishes, snacks, or a meatless entree; (b) keep apples and oranges in the car for an after-gym snack, or when you get the munchies (you don’t want your car to automatically turn into that fast-food place); and (c) cut up salad fixings and keep prepared in the refrigerator, then just spoon out and serve. Keeping Mayesa in the car is another sure way of sticking to a healthy snack when you’re on the go. The more of your daily calories you eat earlier in the day the better. Instead of a light breakfast, or even no breakfast at all, and a heavy dinner in the evening, have a hearty breakfast and a good lunch, both of which will keep you fueled through the day. A light supper will keep you from sleeping on a load of calories. If you are rushed for breakfast, Mayesa is a good way to start your day, then have a hearty lunch. Don’t give in to the frantic question “What’s for dinner?” every night. That just begs for a quick answer – which might be easy but often not healthy. Instead, try these tricks: (a) keep a menu plan; (b) organize dinner ingredients before you leave for work; (c) freeze homemade soups, homemade pasta dishes, etc., ahead of time, then take out and defrost while you’re at work. Having salad ingredients already chopped and mixed and ready to go is another big help. 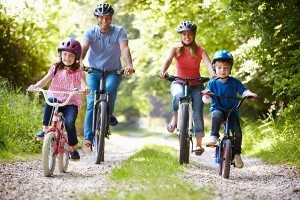 In addition to planning meals, cooking with healthy ingredients, and practicing portion control, a healthy lifestyle includes physical activity. Keeping physically active assists your body in properly utilizing all of that good nutrition. There are many options to keeping physically fit, including: walking, running, going to a gym, playing a team sports, and using fitness apps or videos. You can also burn calories by taking stairs and parking farther from your destinations. Good nutrition can: give you vitality and energy, boost your immune system, help beat tiredness and fatigue, and ward off serious illnesses such as heart disease and diabetes. Celebrate National Nutrition Month – for your life!